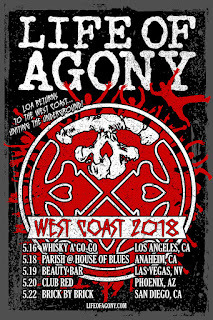 It has been over a decade since New York's Life of Agony has headlined the West Coast. 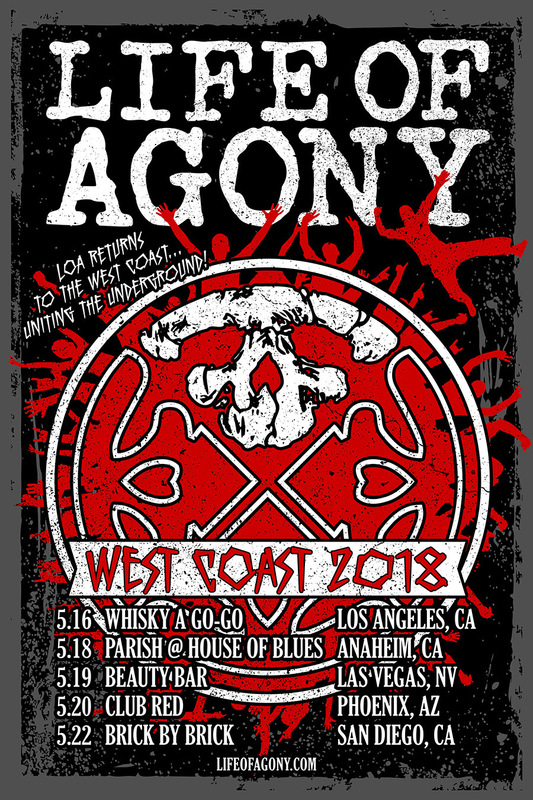 With only one brief appearance at last year's Ozzfest Meets Knotfest, the group is thrilled to announce its return with a West Coast run scheduled for May! "I cant express how excited we are to return to the West Coast!" says guitarist Joey Z. "Over the years, we've had such amazing shows out there, and just this past November, we brought the ruckus at Ozzfest Meets Knotfest! Can't wait to bring the power to these smaller venues and CRUSH. We're also going to be doing some special things with the set lists, like playing some rare fan favorites that we haven't done ever."